Few works in the history of popular culture have had as much pronounced effect as Charles Dickens’s A Christmas Carol, first published in 1843. While Christmas Day had always been a sacred, solemn feast day within the Christian faith (just as the Winter Solstice had been in many pagan cultures before it), it wasn’t until the middle part of the 1800s that many began to see it less as a site of religious devotion than as a holiday to be celebrated, and to be celebrated most specifically through the act of giving. While A Christmas Carol didn’t spawn this tradition itself, it, more than any other force, popularized it throughout the western world. 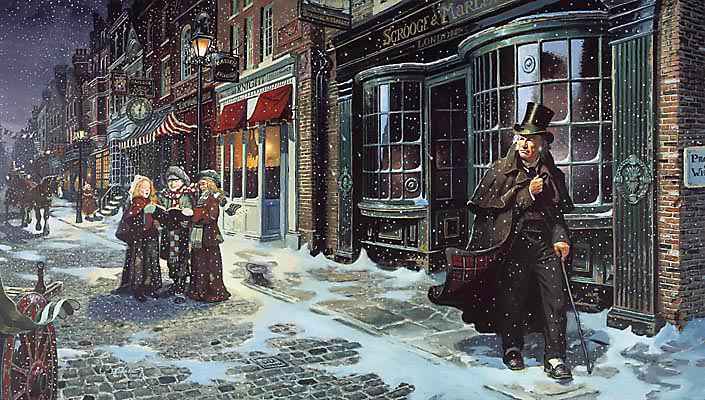 Through its powerful, secular story of redemption through charity and love, Dickens imparted to all that Christmas was a time to celebrate all that was worthwhile about the human race, most specifically our love for one another, and our compassion for those less fortunate.